Today, we publicly announced Scylla Cloud, our fully-managed database as a service (DBaaS). Scylla Cloud is available immediately on Amazon Web Services (AWS) Elastic Cloud 2 (EC2) instances—including a developer instance that makes prototyping incredibly affordable. It will soon also run on Google Cloud and Microsoft Azure public cloud platforms. 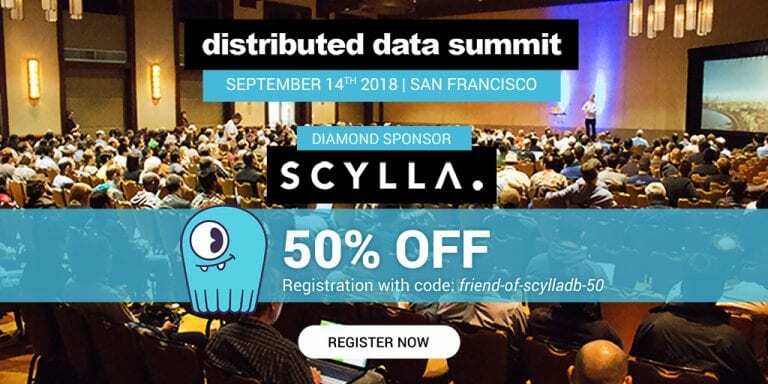 ScyllaDB is a diamond sponsor at the upcoming Distributed Data Summit in San Francisco on September 14th. Come see us! Nominations are now open for the first-annual Scylla User Awards. Nominate your company and we’ll send you a Scylla hoodie!